If you’re having difficulty with SEO, whether it’s due to link building or keywords, don’t worry; more successful SEO can be created simply by doing some embedding. You’ve likely seen the Twitter, Facebook, and Google+ icons on each page of another company’s web site; these links help to drive traffic to the site. Your business should use this practice as well, adding social media pages each time you register a new site or content. Blogs are considered social media, but you might need to treat them separately due to their content marketing potential. So many companies neglect them due to a failure to incorporate interlinking between other pages—both their own and those of others—and to embed keywords. As an aside, it’s also smart to add your blog to reputable blogospheres to increase exposure. Many in the media have made note of how much attention their press releases have received thanks to embedding videos or sound bites. Companies that embed multimedia in their landing pages or other on-page SEO are sure to notice improvement. Widgets are akin to on-page techniques, serving as interfaces where clients can sign-up for newsletters, add notes or comments, or even draw a picture using their tablet. The latter might sound silly, but remember that clients enjoy any sort of interaction with online communities. This can be the most difficult aspect of embedding, as it can be difficult to determine where you should put links, in regards to both your on-page SEO and off-page SEO. 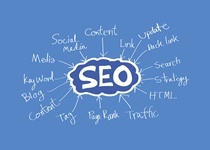 However, if you abide by Google’s rules and build up a proper linking network across your web sites and associated web material, as well as make sure the links stay active, that will be enough to drive the proper traffic to your company’s web site.